Price reduced by over £35! The Original Fiesta ST180 Stock Black Plastic Turbo Elbow has a very small internal diameter, approx 38mm but our Pumaspeed X-37/X-47 Billet Hybrid Turbochargers for the ST180 Fiesta have a much larger inlet throat size of 43mm, with the X47R having an even larger internal diameter of 46mm. This new Pumaspeed handmade Stainless Steel Turbo Elbow eliminates any flow restriction by matching the size of the inlet on the the new turbo which smooths out any restriction and allows for the full power to be obtained. We recommend this for all Hybrid Turbochargers. Item is avalible in Satin Black or Stainless finish. The Pumaspeed Workshop team are ready to fit the Intake Elbow for X-Series Hybrid Fiesta ST180 Turbo - 46mm in our Head Office located here. Therefore making parts and labour a total cost £147.95 (inc. VAT). 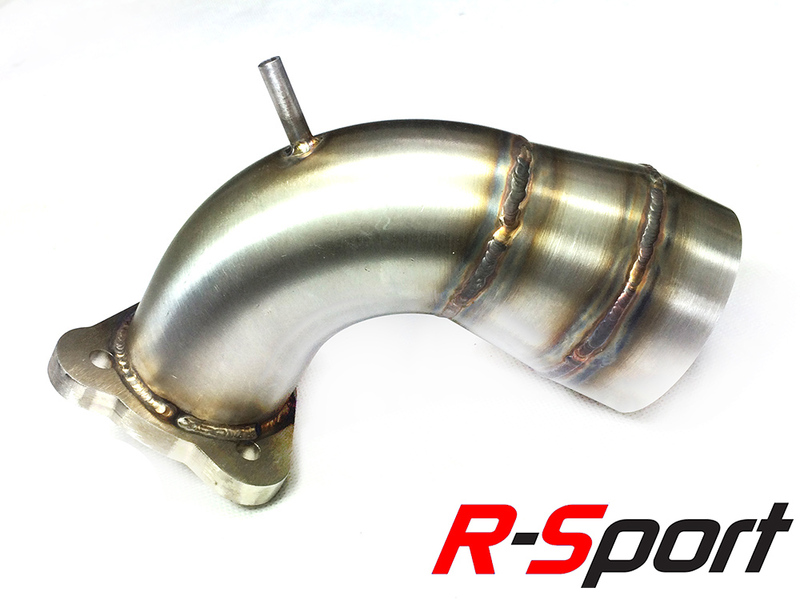 Pumaspeed have a specialist distribution team that can dispatch the Intake Elbow for X-Series Hybrid Fiesta ST180 Turbo - 46mm to any destination worldwide.